Every church has a culture—what they value, what they prioritize, who they are at their deepest level. As Round Rock Church of Christ, we want to purposefully and continually partner with God to create our culture. So our ministers and elders spent the better part of a year prayerfully identifying, developing, and refining a list: we call it our 7 Core Behaviors. These are the things we do on purpose around here. If you’re new around here, consider this page a peek into our family. It's a look at our goals and ambitions as a church—who we are by the grace of God and who we want to continue to become. We remember that our Sunday gathering is a time when outsiders and newcomers are present, and we welcome them however we can, making them feel acknowledged, safe, understood, and hopeful. We also remember that “church” isn’t limited to our Sunday morning gathering—we exist as Christ’s body in our workplaces, schools, small groups, and neighborhoods. 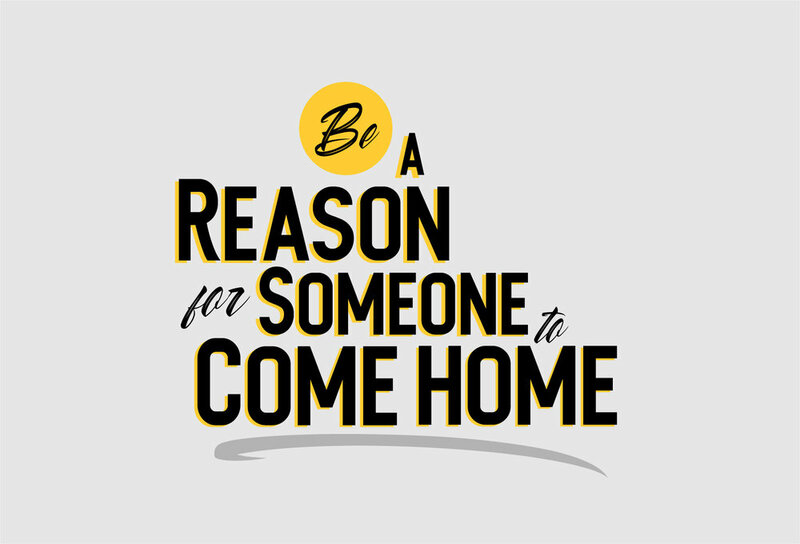 And at every turn—whether through a kind word, a loving act, a brave conversation, gracious forgiveness, a generous gift, or some other expression of love—we strive to be a reason for someone far from God to come home. For each of us, Christ’s vision is one of transformation. In baptism we are changed—forgiven, made alive, endowed with the gift of the Holy Spirit’s indwelling—and every day we walk with Christ he continues to change us if we’ll let him, refining our rough edges and making us more like him. Though this process of transformation is sometimes painful, and though our flesh sometimes opposes his shaping influence, we want to be a people who strive to maintain a posture of submission toward the Spirit. We want to look different five years from now, thanks to Christ. And we’re always on the lookout for how he might want to change us next. 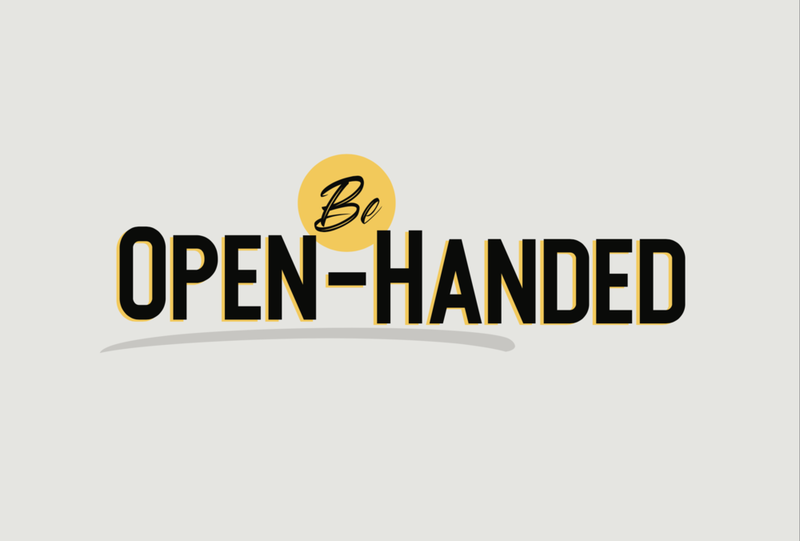 God, who gives to us so generously, wants us to reflect his generosity with an openhanded lifestyle of our own. Because we’re often tempted to close our fingers around what we have, operating from a posture of greed and fear rather than contentment and courage, we strive to open our hands on purpose—loosening our grip on our money and possessions. God shapes our hearts and breaks greed's power in our lives. We are positioned to receive the unanticipated blessings he has for us. This posture is bigger than our finances, though—our open-handedness extends to everything in our lives—our time, our energy, our talent, our family, you name it. We’re striving to develop (in ourselves and in the people we’re called to lead) a posture of relentless surrender. In the end, this is a function of trust. The more you trust God, the more open-handed you will be. And the more open-handed you are, the more you will trust God. Fear seems to have a hold of so many of us. It whispers to us from the news, it calls to us from our bank accounts, it creeps into our marriages, it beckons us away from spiritual adventure. Unsurprisingly then, if there’s one thing God wants his children to have, it’s courage. Given the life-giving, enemy-defeating power and presence of God, we have every reason to be brave. We strive--as individuals and as a church--to defy fear and step forward each day in ways that demonstrate the courage only faith can provide. We also remember that in Scripture, courage is tied to obedience—the more we obey God (especially when obedience is scary), the more courageous we become. Because we witness the ways God enables and rewards our efforts to be righteous. Obedience makes us brave. And love, the ultimate form of obedience, will make us braver than we’ve ever been before. In a world strangled by fear, we welcome Christ’s call, doing our best to bravely love like him and follow wherever he leads. We refuse to be cowards. We value and pursue time together, cooperation, and unity. We strive to connect in ways that led us into more “We” language than “They” language. We believe life was not meant to be lived in solitude, and we’re aware of the pull to develop tiny family kingdoms—high-walled enclaves of privacy and self-sufficiency. So we fight against it, embracing the blessings and difficulties of Life Together. We gather for worship. We gather in small groups. We gather for celebrations. We gather for baptisms. We make gathering a priority because we understand that isolation is no good for spiritual growth. We’re only the body of Christ together. Only alongside one another do we fully claim our God-given identity as saints. We cherish the collaborative wisdom, the cooperative care, and the collective strength of Body Life. Genuine (adj): truly what something is said to be; practice of honesty and vulnerable transparency—a lack of pretense. In this church, we’re committed to being genuine with one another. When we’re struggling, we strive to be brave enough and humble enough to admit it. When God is enabling victory and growth in our lives, we don’t hesitate to share our joy and give Him the glory. When we interact with one another, we strive for honesty and vulnerability. We refuse to pose. Too, we strive to be genuine as leaders. To admit failings. To tell the truth. To own God-enabled gifts and growth. To err on the side transparency as we communicate decisions and plans. Christ calls us to love one another, and love requires us to reject facades and pretending. It demands we trust our real selves with one another. And doing so enables us to be known and loved. We are people of light and joy. People unafraid to demonstrate enthusiasm and unwilling to neglect gratitude. People who smile a lot, on purpose...because we have so much to smile about. "I'm blessed to have felt guilty only grabbing the Strands and Kohls for that picture today. I could practically go down the church directory photo bombing various family photos, because it seems life is always so messy. From teenage rebellion, to quarter-life crisis, to life shattering stuff like funerals and estate planning--so many people from RRCOC have LITERALLY brought me to their homes, back into the fold, respite for the weary and broken. Today I focus on 2 of many families (it takes a village, right?) To the Strands: Christmas after my mom's death, I had lied to anyone that had graciously offered to invite me to their home for Christmas and ended up trapped in my home in a miserable situation. When Suzie texted me a Merry Christmas and figured out I was home despite my lies, she didn't miss a beat. I was sitting around their dinner table like one of her own children not hours later. It's that type of people you want in your life, the type that love you even through your lies and deception. To the Kohls: when I took a "sabbatical" from church, angry at the world, losing my dad not even 3 years after my mom, hastily leaving small group, they gently and patiently waited for me. I couldn't go back to the building I'd just said goodbye to my dad in so they met me outside of church--dinners at olive garden. I finally started attending small group on Thursdays even though I hadn't been back to the building in months. They just brought church with them allowing me to see that our church isn't a building, it's the people inside. And those people are my home." Thank you, Tina, for your vulnerability. And thank you Kohls and Strands for being like your good Father, for being a reason for Tina to come home. Over the course of the past year, member Wes Johns has weathered the storms of divorce and addiction. It's been a terribly hard time, and a real struggle to surrender to God. As hard as it is, Wes is showing up for the fight. Wes is determined to Be Brave. That's why John Schneider wanted his picture with him. Wes, however, said the really brave people were his daughters, Dhara and Seren. Here's what he wrote: "My two youngest daughters are as real and brave as it gets. This past year was met with much heartache and sadness for them. They watched the only life they have ever known come crashing down before their very eyes. Through it all, God was there and they never stopped believing. I even had the honor and privilege of baptizing Dhara. Neither one of them let the heartache steal their joy or happiness. They continued to put smiles on their faces and on many occasions are the only ones that gave me the strength to rise up and keep fighting the good fight. I am truly blessed to be able to call Dhara and Seren my daughters." Praise God for making us brave. We are because He's near. Chris and Arleen were the first people we thought of when we were asked to find someone that has changed and is changing and looks more like God because of it. We met these two 5 years ago during a very difficult season. They were desperately searching for something to hold on and maybe something to let go of. We are so glad they held on. They have done and are doing good but hard work. They have been in trenches fighting for what God has asked them to fight for. Their story is full of brokenness, hopelessness, obedience, forgiveness and redemption. God is writing an amazing story with these two! This week we're encouraging our church to BE GENUINE, to vulnerably and courageously be your whole, integrated self. Being genuine frees you to follow God without the fetters of pretending or posturing. 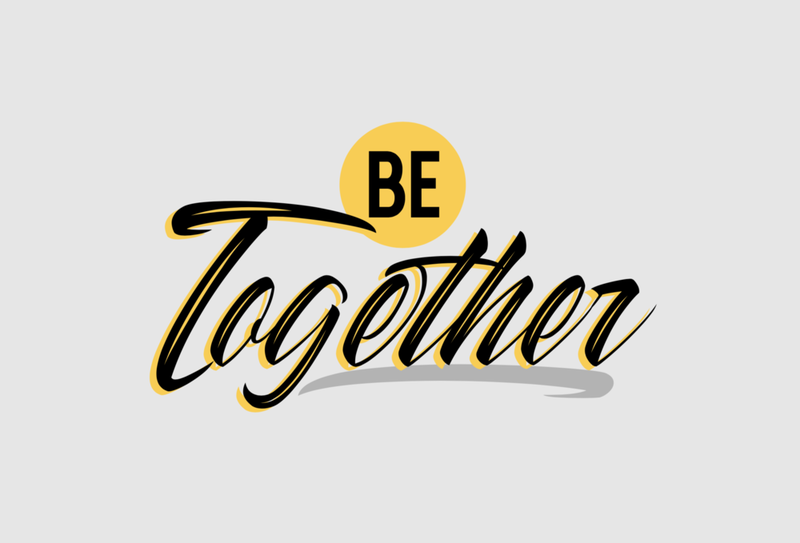 It enables you to really and meaningfully connect with other people. And it teaches you to find your value not in how well you fit in or measure up but rather in Christ. "Carole has let us into both the hard things in her life and the beautiful things. Our small group is blessed to see her shine and struggle through challenges at work, in marriage and with motherhood. She is real about it all. And really growing through it all. It’s truly a pleasure to do life along side her." Amanda Tuttle celebrates with her new friend and sister Staci Flippin in front of the words “Always Be Celebrating” after Amanda’s baptism. Luke and Haley have helped us in so many ways! They always pray for any situation we need including our extended circles of work friends and people abroad. They have helped us financially without being asked just to ease the burden. They have sent us care packages when we were sick, congratulations for victories. They have visted us, encouraged us, brought us food. They have done tons of other similar things for our small group. They open their home to us every week no matter how loud and messy our kids are. They have been the very best of friends to us. I know that there are many others like us who have been blessed by them, but they always do so on the down low. I don’t think they will ever know how much thier well timed generosity has helped us. Financially, yes, but more so spiritually and “friendshiply.” And just so many ways. Thanks, Luke and Haley, for opening your hands!